Gotham's most famous vigilante has an interesting relationship with morality. Batman has no problems breaking the law in order to chase down criminals - dressed up like an overgrown bat, no less - but shies away from killing and has a notable dislike of guns. His unusual methods of crime-fighting have also attracted a plethora of complex villains all too willing to test the boundaries of his humanity. Batman has been a popular fixture in movies over the past few years, with Christopher Nolan's Dark Knight trilogy and the upcoming release of Batman v Superman: Dawn of Justice, but he's also been making waves in the world of video games. Titles like Batman: Arkham Asylum and Batman: Arkham City have received huge amounts of praise, but now the Dark Knight is set to be the star of a new game that could be very different from what's gone before. During The Game Awards 2015, a surprise reveal teaser announced that Telltale Games, the studio behind critically-acclaimed comic book adaptations The Walking Dead and The Wolf Among Us, is now working on a Batman game. The short trailer played audio clips from Gotham news reels reacting to the antics of both Bruce Wayne and his cowled counterpart. Perhaps the most telling dialogue is a character angrily pronouncing, "He took our responsibility from us." For those unfamiliared with Telltale Games, the studio has become renowned for creating narrative episodic games with a heavy emphasis on choice and consequence, coupled with stylized animation techniques like cel-shading. Following the breakout success of The Walking Dead, Telltale has since created tie-in games for Minecraft, Game of Thrones and sci-fi action game series Borderlands. Needless to say, the anticipation for Batman - A Telltale Game Series (official title not yet revealed) is bound to be high. "At Telltale, we’ve been honored to bring our unique approach to interactive storytelling to some of the biggest entertainment franchises in the world, and we’re excited to announce that we’ll soon be exploring what it means to be Batman in an all-new series starting next year. This iteration of Batman will give fans a first-hand opportunity to dive deeper into the complex life and mind of Bruce Wayne, the duality of his own identity, and the struggle of responsibility in saving a city overcome with corruption and villainy." Telltale's previous titles feature some of the best video game writing in recent memory, so needless to say we're very excited to see the team take on Batman. The Game Awards 2015 are still taking place, so stay tuned to Screen Rant for more news on some of the biggest upcoming video games. 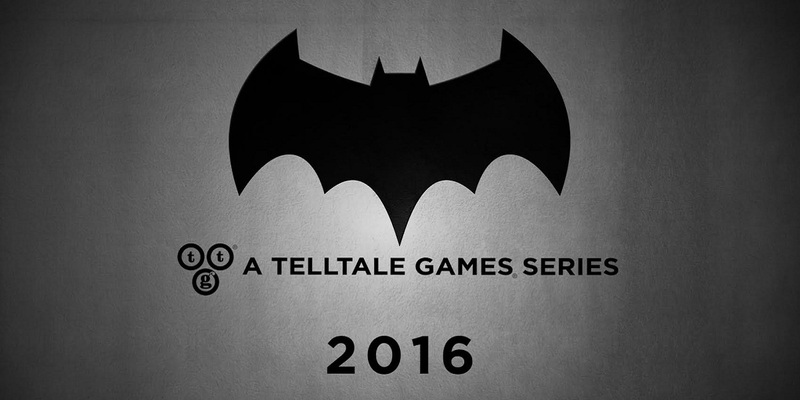 Batman - A Telltale Games Series will release in 2016 on home consoles, PC/Mac, and mobile devices. We'll bring you more news on the game as it becomes available.